We’d love your help. Let us know what’s wrong with this preview of Under the Nazi Heel by Scott Bury. To ask other readers questions about Under the Nazi Heel, please sign up. What is the name of the first book in this series? good story about the confusion of aqui ukraine. 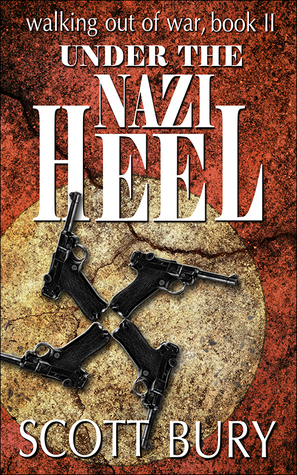 I'm glad to be one of the lucky ARC readers of Under the Nazi Heel: Walking Out of War, Book II by Scott Bury. The journey of Maurice Bury continues in this compelling memoir. You actually feel yourself standing in the war zone, the earth turning liquid beneath you, you can hear the sounds of bombs and machine guns. That's how you close you get when you're reading Scott's writing. I'd say its an exceptional memoir. If I put myself in Maurice's shoes, I don't think I'd ever be able to lead a healt I'm glad to be one of the lucky ARC readers of Under the Nazi Heel: Walking Out of War, Book II by Scott Bury. The journey of Maurice Bury continues in this compelling memoir. You actually feel yourself standing in the war zone, the earth turning liquid beneath you, you can hear the sounds of bombs and machine guns. That's how you close you get when you're reading Scott's writing. I'd say its an exceptional memoir. If I put myself in Maurice's shoes, I don't think I'd ever be able to lead a healthy life. Hats off to all the WWII survivors, who after so much suffering, still managed to lead a normal life. "Five years of war, marching across whole countries, five years of sitting on cold and wet ground, of fighting and sheltering from bombs and bullets, of sneaking through the dark, and this is the worst I've ever felt." I was able to feel all Maurice's words around me. The Bones of the Earth, a historical fantasy, came out in 2012. It was followed in 2013 with One Shade of Red, an eroti Scott Bury can't stay in one category.